Eric SanInocencio, Senior Director of Social Media for the Houston Texans, joins the Social Pros Podcast to discuss getting the most out of limited opportunities for content. Working in social media, you know firsthand just how short people’s attention spans are. It’s a constant job to create, share, interact, and ultimately hold the attention of your audience. How then can you keep your audience engaged if your company operates on a seasonal schedule? 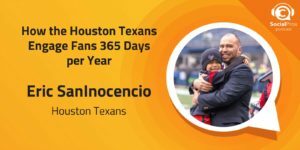 This is exactly the question that Eric SanInocencio has asked, and with an unbroken streak of selling out of season passes since the beginning of the Houston Texans, he has some pretty successful insights. With careful planning and strategizing, you can maximize your limited opportunities to create evergreen content that you can share year-round to keep your customers excited and engaged. Eric would love to talk with Malcolm Gladwell, he is a huge fan of his books and the way he challenges people to think differently! Jay Baer: Hello, my friends. This is Jay Baer. Thanks so much for listening to Social Pros. A reminder, this week's show is brought to you by our good friends at Salesforce Marketing Cloud. You know, Social is more important than ever for B2B marketers. And some B2B marketers have a tricky time measuring results. And a new complete guide from our friends at Salesforce will help. It's called, The Complete Guide to Social Media for B2B Marketers. And it reveals the best types of content for each segment of your funnel, how to use those pieces of content on Facebook, on LinkedIn, on Pinterest, on Snapchat, discover the role metrics, social listening and engagement strategies, and elevating your message and results. Go to bitly/b2bsocialguide That's bitly/b the number 2 bsocialguide all lowercase to download the ebook right now. That's The Complete Guide to Social Media for B2B from Salesforce. This week, the show is also brought to you by Hyp3r, a location-based marketing platform. Their CEO and co-founder was actually on the show a few months ago. Check out that episode if you haven't. If you're in the hospitality industry, you know that 70% of your guests book through online travel sites, which means that you're missing out on valuable information about the very guest you're trying to serve. So what Hyp3r does is they build geofences around hotels, restaurants, and other sort of places of congregation to unlock a treasure trove of geo-social data about guests while they're on property. Hospitality businesses use this data to discover unknown consumers, elevate the guest experiences with surprised delight, inspire food and beverage consumption with just-in-time recommendations. And identify influencers who are maybe trying to lay low on the property, transforming them into brand ambassadors. Hyp3r partners with the world's leading brands in hospitality, including Marriott International, Hard Rock International, Norwegian Cruise Lines, the Cosmopolitan in Las Vegas, and many more. It's Hyp3r H-Y-P, the number 3 R. Visit Hyp3r, H-Y-P-3-R.com/socialpros to learn more. Hyp3r makes location the heart of your marketing. And last this week, the show is brought to you by our pals at Brandwatches. All of you know, who listen to the show, thousands of posted images are shared online every second. There's never been more social data available. As the world's leading enterprise social listening platform, Brandwatch helps thousands of brands and agencies make sense of that data. With Brandwatch, you can get analyst-level insights at the click of a button, find the right influencers and optimize your campaigns in realtime, prove your marketing ROI with data-centered competitor benchmarking, immediate crisis alerts, couldn't be more important, and ads that are proven to convert. Make the most of your marketing, visit brandwatch.com/socialpros brandwatch.com/socialpros to see how Brandwatch will help you keep a pulse on your customers, your campaigns, and your competitors. 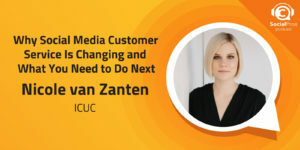 And now, here's this week's Social Pros podcast. Jay Baer: Hey, everybody. It is Jay Bear, founder of Convince & Convert. Welcome to Social Pros. Hopefully, your favorite podcast. If not before, hopefully after this. I am joined, as always, by my special Texas friend. He is the Executive Strategist at Salesforce Marketing Cloud. He is from the great City of Austin, Texas. Mr. Adam Brown. Adam, what is going on? Adam Brown: You know, a great show today. And I got to ... We had to speak to one of our colleagues just down the street from me, here in Austin, Texas, and Houston. And I just thought some of the insights that Eric shared around what he's doing with the Houston Texans, nothing short of phenomenal. You think what he does and what his role is is so different kind of what our average social media professional does, but he's still dealing with an abundance of content, trying to craft stories, dealing with different disciplines and departments. And again, dealing with this whole space of social, and digital, and video, all kind of coming together. Jay Baer: Well, and you think about it, for many listeners, he has the dream job, right? Adam Brown: He really does. Jay Baer: You know, for an NFL team. But I'll tell you what. It ain't all wine and roses. I mean, it's a lot of work, as you'll hear in this episode. I mean, Eric and his squad have to put in some serious serious time. And the NFL's a 12-month-a-year gig, right? It's not just, you know, games in the fall. It is a hard, hard social media position. But they're doing a great job. They've won a ton of awards, and he really brought a ton of knowledge and insights on this episode. Adam Brown: Well, that was one of the most interesting things, at least for me, Jay, was you think of the NFL season, and you don't think of it as a 12-month season. But he's having to create and curate, and content, and get interest, and get engagement 365 days a year. Jay Baer: Yeah. It's fantastic. Ladies and gentlemen, here we go! Eric Saninocencio. It's a long one. 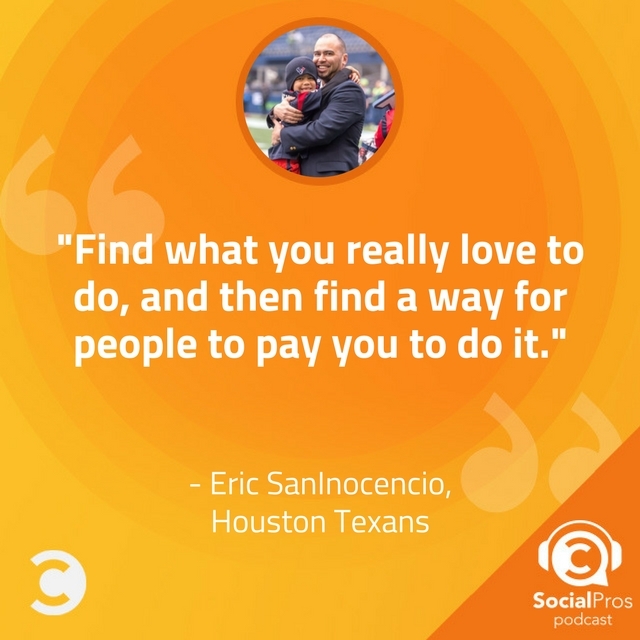 Eric Saninocencio, Senior Director at Digital, Houston Texans, on this week's Social Pros. 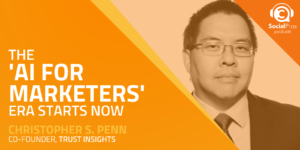 Jay Baer: Eric Saninocencio, Director of Digital for the Houston Texans. Welcome to Social Pros. Thanks for being here. Eric S.: Nah, I appreciate you having me. It's an honor to be on. 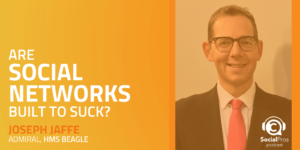 Jay Baer: So tell us a little bit about working in the NFL in Digital. It's gotta be equal parts massively exhilarating and occasionally frustrating. Eric S.: Yeah, I think the spectrum covers just about that. The NFL has done a really good job of making their league a year-long, you know, content hub. So even if, you know, this funny thing about us is we don't play a game for nine months. Yet you're still covering, you know, the compound [inaudible 00:05:17], the draft. You have all these off-season [inaudible 00:05:19] events, free agency. So, I think, for us the challenge is to continue to tell our story and continue to talk about the team, while maybe not having a game on the field, you know, to always report on. So I think the NFL, like I said, it's a year-long kind of battle to create content, creativity, and then also to connect with the fans throughout the year, maybe when you don't have a product on the field that they can easily relate to. Adam Brown: Yeah. And even when you are playing, right? You've got 20 games a year, including pre-season. We've had Brian Sabean on from the San Francisco Giants on the podcast. We've had James on from the Tampa Bay Lightning in the past on the NHL side. We've had other folks from the NBA on in the past. And, you know, they've got sort of between 82 and 162 games to cover. I mean, that's a lot of content just playing your schedule, right? And you just don't have that many bites of the apple. But as you said, there's so much other interests in the NFL kind of surrounding each game. And then, of course, the off-season. One thing I wanted to ask you about is access. So how do you tell those stories? Do you sort of have a free reign of the place and then kind of shoot whatever you wanna shoot, and interview whoever you wanna interview? Do you sort of take a journalistic approach to it? Or do other people involved in the team kind of create the content and you and your folks are more in charge of amplifying it and making it social ready? Eric S.: I think it's a little bit of all three. And I think in a perfect world we love to have access and set up hard knocks style cameras all over the building where we can get everything every day. But I think what you're doing is you're working with your football operations department. For those who don't work in sports that know, like we're in the business side. That's ticketing, marketing, sponsorship sales. Then you have your football operations staff, which is what most people think of when they think of the Texans, the football players, the coaches, the scouts. So you work with that football offside to try to set up some opportunities, because the players aren't around all year either. So there's certain times of year where they can't be in the building. Like, for us, they return next week to start their, what they call, Phase 1 off-season conditioning, and then you've got some practices, and then they're gone for June and July again to a training camp. So I think you try to maximize the time that they're on campus. We shoot a lot of stuff during our media days in May and June. They may not air until the season starts or when the season's well underway. So we try to work within the confines that we have and build content that can be somewhat evergreen, and we can use year long or a series that we can build that ahead of time. And then try to capitalize in season when those games happen. Jay Baer: So your editorial calendar, almost like a practice plan for coaches, and you've gotta be thinking way, way, way out. I mean, for a lot of our listeners, you know, they may be thinking a week, two weeks, maybe 30 days, maybe a quarter, in some sort of larger B2B circumstances, social media editorial encounter. But in your circumstance, you're thinking, "Okay. We may need to roll this out in September, but we get access to the player in a way that they're gonna have to participate in May. And you've gotta be really organized way in advance. Eric S.: You know, it's funny because people always poke fun at me. I have ... You know, I'm a digital guy by nature, but I have an actual day planner calendar where I write all this stuff out, 'cause it's the easiest way for me to go about planning six months ahead. Like you said, in May when we have media days, we've gotta create content, you know, like you said, that may run a couple months down the line, so I think what we try to do well is brainstorm and be ahead and try to figure out, "Here are the 10 content pieces that we wanna create." Like you'd like to create 100 but you got this space. Here's the 10 or 15 we can do. How can we be completely prepared to shoot this now, even though it may not air until Christmas or until the new year? So I think you're always struggling with that. Brainstorming's a bit part of what we do. And then also content planning because you're gonna have these times of year where you've got so much that you've gotta jam into it a day or two, or a week-long schedule. And then there may be some times where there may be a week where you're piecing somethings out, you're making sure that you're staying relevant. So you're always kind of balancing that line between the two. Adam Brown: One thing, Eric, I'm curious of is being part of the NFL with all the franchises and all those resources. As you're creating content, are you kind of responsible for creating all of your own content for the Houston Texans? Or do you have resources from the NFL, be it NFL Films, NFL Network, other resources that you can leverage, and perhaps the other franchises, digital marketing teams, can do the same thing. 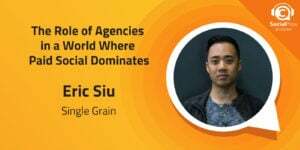 Eric S.: I think I would say probably about 85 to 90% of the content we create on our own. We do have shared content with the league, so if something airs on an NFL network show that pertains to the Texans, they'll send us a link, and we can share that content with our fans. And then also, on game day, all the highlights we get from the NFL. So if DeAndre Hopkins has an amazing touchdown catch, that's sent to us and then we can share it on our social channels. But the majority of the stuff that we create, week in, week out, is done by our department. And that also includes television, radio we have in-house, along with our digital content. So you're trying to piece together ... You're basically you're own news organization when it comes to that. But we do get some great assistance from the NFL when it comes to highlights, things that are league-controlled and league-owned. Adam Brown: And I can only imagine, I mean, the volume of content that you have and have to create. I'm curious if there's any level of governance or oversight from the NFL, in terms of kind of what you can or can't say? Are they looking at your editorial calendars? Are they kind of asking for approval of anything? Or are they more laissez-faire and say, "Listen, you know, you're here to produce the best work product to market. You're franchised. Go at it. Just, you know, be smart." Eric S.: I think, for the most part, they're the latter. And they're just giving us best practices and suggesting content that we should create that they think might resonate with our fans. The only area where they have governance, and you guys have, you know, probably heard about this before, we have a social media policy in terms of what we can and cannot host or in the game window. And as it pertains to legal and content which would be highlights and stuff like that. So that's the only area where we're somewhat, you know, told, "Here's what you can do, and here's some of the limitations that you have based on our policy." But for the rest of the time, our individual content that we're creating as a team? They're just advising. They are, you know, constantly sending us, you know, great data that we can use, that we can compare to all other, you know, teams in the league, and where we rank. All that kind of stuff like that. So I think they're more of a partner in that sense, more than anything else. Jay Baer: Eric, tell us a little bit about your team and how it's structured. I know you're doing a lot of this social work. Do you have other helpers that are managing some of the different accounts or in certain windows during the game, post-game, off-season? How do you staff all this? It's a lot. I mean, to keep a huge engaged community like the Texans, hundreds and hundreds and hundreds of thousands of raving fans engaged in social, takes a lot of time. How does that get done? Eric S.: Oh, that's a really good point. And I think you hire really good people to help you. And so on a digital front, people touching digital every single day, working on the social platforms, there's three of us. There's myself and two others. But our department, as a whole, as I mentioned earlier, we have television, radio, our video boards. So if you come to our stadium, all the game production, they're within our department as well. So that number gets you up to about 13. And one thing that we really try to pride ourselves and the Texans, and I would guess most organizations, is being able to, you know, work in different areas and wear different hats. So even though you might be part of the television team, you may be shooting a segment that airs on digital. 'Cause as you guys know, the content just overflows between all the different channels. But from a digital perspective, every single day we've got that three-person team. And I always like to say our team, because, you know, we're all working together. And there may be times where, you know, I'm not available or they're not available, and we all gotta jump in and be able to help. But during the season, you're right. It can get pretty crazy and we try to really work hard to set up some process to where we have one person maybe running an Instagram account, one person running a Snapchat account. And then me, kind of overseeing the strategy and where that all fits in as the content's created. Jay Baer: Yeah, that's what I was gonna ask you. If you've got people allocated to particular social channels. So one individual's gonna do an Instagram, somebody else is doing Snapchat, somebody else is doing Twitter, et cetera. And then, do you have sort of a daily meeting or a regular conversation, say, "Okay. Here's the story. Here's the sort of overall piece of content. How do we deploy this on Instagram versus Snapchat? Or maybe this particular content isn't appropriate for Instagram, but it is for Snapchat or vice versa." How do you sort of make those decisions in an environment that, in some cases, is really fast-paced? Eric S.: No, you're right. And so for us, we decided to go with the different voices, just because we wanted the fans' interaction with us on those platforms to be different. In the past, when there was less of us, we all had to kind of jump in and decide, "Hey, you know, you're gonna Twitter that, you're gonna do Instagram." But, as we got a little more help, we thought having that single voice made the experience more unique. So as far as on a daily schedule goes, you're right. We're constantly meeting, talking about things 'cause one story may come up. Deshaun Watson is gonna start this week. You know, how do we display that because you're right, the messaging is completely different. The imagery you use, the type of text, you know, the level of professionalism. So Snapchat might be a little more fun. We might ask our fans to draw pictures of Deshaun Watson and send them in, you know, with their filter. So that's a constant daily discussion. And the beauty of it is, and you guys know this. When you work in social and digital every day, you start to build a little bit of a routine, and you get better at it, because you're constantly doing it. That's one thing I tell students. You know, doing social with your friends is fun, and if you think that's a career, that's great. But are you prepared to do it for 70, 80 hours a week? Because that's the kind of demand that, you know, these jobs ask from you. And then, but the flip side of that is when you're always working on it, you know, you pick up faster, you get, you know, better practice at it. And then it starts to become, "Hey, here's the idea," and then we get into execute. But there's always a daily conversation because things change, platforms change. So we're trying to keep it as unique as possible with every piece of content that we have. Adam Brown: Eric, I love the fact that you're sitting down, talking to students, and perspective employees, and kind of telling them about your amazing story and kind of what you're doing there around the Houston Texans. I'm curious of something that we're starting to see kind of more on kind of more pure business standpoint. This year, Salesforce did a research report where we sat down with 3500 CMOs. And we began to ask them how they're approaching social kind of in the future, and their entire organizational chart. And I'm going somewhere with this question. And they began to say, "You know, we're beginning to focus less on function. Like having a social team, a digital team, a web team. And more on outcomes." You know, in your case, that would be, you know, new fans, new season ticket holders, you know, new initial ticket holders. I'm curious if you're seeing that in your industry. You said you have a team of 14 people that are doing video, that are doing radio, that are doing podcasts, that are doing social. Are you seeing more kind of cross-sharing of responsibilities and content? Or, to your point, are you saying, "No. It's better for us to have some experts who know social, who know Snapchat, who know Instagram, et cetera." Eric S.: I think there's two ways you gotta look at it. I think the creation of the content is collaboration, right? Because you've got a writer that may, you know, interview somebody that we use in a television segment. So that part's collaborative. I think the execution becomes more one-on-one, as we talked about with whether it's going to Instagram or it's going to the website. And, you know, the beauty of my job, and what makes it pretty cool, is that everyone in the organization needs digital and social for something. So I'm constantly meeting outside of content, right? 'Cause you mentioned, we have ticketing, you know. We have sales, we have marketing events that we wanna continue to promote on our social channels. So I think the collaborative effort starts at the top, when you're planning, when you're looking at what you're trying to get done. What's your strategy? But then the actual implementation of it is singular. And I think that's what we found works best. That's just unique to us. It might be different in other cases. But you've gotta have the collaboration at the beginning, because you might need different skillsets from different people to actually make it happen. But then when the piece is done and you're, you know, there's a distribution part of it? That's singular because then it stays within the voice that you've already created on the platform that you're distributing it on. If that makes sense. Jay Baer: It absolutely makes sense. And I wanna touch on something that you mentioned earlier, Eric, about the amount of time necessary to really do this. I mean, you said 70, 80 hours a week and I don't doubt that's true. Many people who have been guests on this show are putting in those kind of hours running social media for some of the world's most interesting brands. You've got a young family at home, which puts a lot of pressure on you. Do you feel like we're at the point now where social media is a young person's game? Where, you know, you get to that point, you get to the life stage. You're like, "Hey, I just can't. I just can't put in that kind of time any more. And I don't want to." That people sort of ... I guess to put it some way, sort of graduate out of social media 'cause they just can't hump it like, and so it becomes almost like a start-up job that you might find and see what comes out. Do you think that's true? Do you think that's where we're at today? Eric S.: I think we're getting to that in some degree. I know, for myself, I'm 37 years old. The key for me still being able to be that plugged in is the flexibility of it. So we're not nine to fivers obviously and my boss is fantastic, Marc Vandermeer, about this. You know, I coach my son's little league baseball team. I coach my daughter's T-ball team. And I'm able to do that. I leave the office early and then I may come finish my work after I've put them to bed at night. See, that's the beauty of social is that it doesn't happen in traditional kind of workspace. But you're right. Like it's constant, you're plugged in. I was watching a TV show with my wife yesterday, and I was getting messages on my phone. And I just kind of like threw my phone off to the side onto, you know, my couch over there. And it's like, yeah, it would be nice sometimes to be unplugged. But I think that's the nature of what we do too. Like you take that part of it, the demand for, you know, the trade-off of being able to work on a Sunday at NRG Stadium when we're playing, you know, a big-time primetime game. And Deshaun walks and throws a great touchdown pass and you're there to capture that and help tell that story. So it's like any job, right? There's a little bit of pros and cons, but definitely I think the good and being part of sports, I've done it my whole life. I played baseball in college. I wouldn't ... I don't know what else I would do. You know, like I get home and I watch Sports Center. So I always tell kids ... and you mentioned that part, Adam, about speaking to kids. The advice I always give them and this is kind of what I've lived my whole life by, is find what you really love to do, and then find a way for people to pay you to do it. And that's kind of been everything that I've [crosstalk 00:18:31] built my career on. It's great. Adam Brown: It doesn't feel like work, right? Eric S.: Yeah. So like sports, I'm gonna do it. I'm gonna come home, watch sports and I'm gonna watch a game, you know, whoever's playing. And then social, I enjoyed doing it when I was a sports information guy, you know, 11 years ago. And I made it part of my career. So it doesn't feel as much as if you're working. But you're right, there is demands on our time when we try to work hard to build in those processes that I mentioned earlier. So somebody needs to step away? We wanna try to give them as much freedom as possible when they're away. Like I had a day off yesterday. You know, our team officially released Derek Brown, who's our ... I mean ... I'm sorry. Derek Newton, who's our right tackle. The show still went on even though I was there, because we built processes in place. This is how we release a story. This is how we're gonna distribute it. So you hope to build that enough to where you can take some time away. But it's something I think that everybody that works in social struggles with is, you know, the need to always feel plugged in? Just in case something happens. And I don't know that we've effectively tackled that, but I think there's ways that you can try to build around it with that flexibility like I talked about. Jay Baer: Well, like you said, having some sort of process so that when something does happen, you're not starting from scratch. And you, obviously had a tremendous scenario along those lines with your, you know, with all the hurricanes and the flooding, and you won a Shorty Award for the Texans Care Program. I want you to talk about that a little bit, 'cause it's really a remarkable story. And you and the team and the players did so much incredible work for the Houston region. And I'd love you to tell that story. Eric S.: Yeah. And I take one-half of a percent for any little credit. I mean, most of that belongs to JJ Watt. He did a fantastic, you know, job. And, you know, a funny story. We couldn't get to our office in Houston for three or four days. 'Cause even after Hurricane Harvey had hit, and you know, the rain had subsided, you couldn't, you know, transportation, you couldn't take roads, you know, things were under water. So luckily for us, we never lost power here. And I'm in my upstairs guest bedroom. We're very fortunate. We have a two-bedroom, I mean, a two-floor, two-story house. And, you know, we moved everything upstairs 'cause we got some water damage below. But we're still on the phone, we're able to put all this together. And our PR Director, Amy Palcic, did a fantastic job working with JJ. And his whole thing was, "I just wanna help." Because they were helpless. You know, for people that don't know, the team was in New Orleans when Hurricane Harvey hit, and they couldn't come back. So they ended up getting diverted to Dallas for three or four days. And, you know, you're watching all this happen in your home town. Your loved ones are still there. There's not anything that ... You feel helpless. So if you watched the initial video that JJ put together, you know, his goal was to raise $200,000. And there was some fear on his side that this would flop, and it wouldn't happen. So, you know, he shoots the video. He's in his hotel room. And then once he started, you know, such a galvanizing effort and social media take a lot of flack for the negativity that it creates or, you know, the things that people say to each other. But this was probably the best example I've ever had of people coming together and rallying around. You know, we hadn't played a game yet. But then you saw the Ellen Show give JJ money. You know, Jimmy Fallon gave a million dollars. You see all these national figures just wanting to help. And we're able to help spread the word and tell, you know, all the things that not only that Houston's doing, 'cause the HoustonStrong was the big hashtag, but it was really TexasStrong, 'cause there were so many areas down the coast that were hit. And we're just helping to tell those stories, helping to let people know how can, you know, how can you assist in the help efforts. They opened NRG Center, which is right across the street from our stadium. Housed a ton of people that were displaced. So that was like one of the things I'm most proud of and, like I said, I have .5 of a percent. We were just amplifying and trying to work with JJ and his team as he started to do stuff. And I worked with the legal op because a lot of teams wanted to contribute. You know, "What can we do to help?" The owner of the Tennessee Titans gave a million dollars, so it was great to see everybody come together, and that's kind of an NFL family that we always talk about. But that started with social. That started with a phone in somebody's hotel room. And wanting to help. That's all it was. And before you know it, he raised 37 million dollars, you know. And that's a staggering amount. It's not gonna fix everything, obviously. But then he's continued to keep the story going. And he got all those accolades and they were so well deserved. I haven't been any prouder of the Houston Texans organization, and him in particular for what he did. And to play a small role in that, and us be recognized, was kind of like, you know, the cherry on top. Jay Baer: Well, an unbelievable job to you and everybody there. Obviously, the circumstances that you would hope would never reoccur in any way, shape or form. But thank you so much for rising right into the challenge. I've got lots of friends and clients in Houston and you all did an unbelievable job. So thank you so much. Eric S.: I appreciate that. Jay Baer: You know, it's funny now. We're starting to see ... I guess we always have a little bit, but lately there's been more coverage, I think, in the industry of brands, you know, sort of getting into it, having a beef on Twitter, right? So, you know, you got Wendy's, you know, always yelling at people and everything else. Do you guys get into that? You know, if you're playing, you know, if you're playing the Colts, do you guys get into it in social and talk smack, either officially on the channels or DMs, behind the scenes? Or with your counterpart at different games? Eric S.: Oh, there's a lot of smack talk in the DMs. Let me tell you about that. But as far as the team official accounts go, when it makes sense, we jump in. Like we will monitor what they're saying about our team. If they make, you know, a little slight about the way our offense is playing, we may respond with a GIF of Deshaun Watson doing his arrow celebration. We've done it with the Colts before, using Madden, because Madden ranked us higher than them in the pre-season ranking so we kind of went at them. We did it with the Carolina Panthers because they were ... One of the Astros' players talked about how he loved the Panthers, and they were like, "Oh, I guess we're a useless team." And we jumped in, "No way!" And we started ... And it's funny, 'cause by the end we all were like everybody was jumping in and I think the fan bases like to see that. Adam Brown: So many games. Eric S.: ... to create interest. For us, we've got that week timetable to kind of build up. And sometimes when it makes sense, we definitely jump in. It's fun to see the players do it, 'cause sometimes that'll ... You know, Deandre Hopkins will make a comment. One of our most famous things that actually got some flack in the New York papers was when he said that it was Revis Island for Darrelle Revis after he had come, you know, had a really good game against them. And so when I saw him do that, the first thing I thought of was Mike Meyers' Doctor Evil, you know, doing that. And so we put the two gists together and we did it and we called it Revis Island with a couple of laughing emojis. And, you know, it was funny to ... My president came in the next day and he's like, "Why is the New York Daily News saying that we made fun of the Jets?" 'Cause he's not really that into social media? So I was trying to explain to him. And, you know, you've gotta kind of tow the line and set the expectation communication-wise of, you know, what you feel comfortable doing, or what, you know, the organization will feel comfortable letting you do. But when it makes sense, we definitely jump in 'cause it's fun, but probably not as much as some of the other leagues and teams that may be playing more. Jay Baer: You gotta love, throw up the air quotes, you didn't take those best social media posts and put them on your LinkedIn page, right? You know, like yeah, I talk this kind of smack. I mean, I can see that you guys are really competitive, right? I mean, you all work in sports. I mean, it's sort of part of your personality or you probably wouldn't work for that particular employer. And I know, you know, there's only 32 teams, right? And so, it's a pretty tight group. I suspect that you're always comparing your work in social to other teams' work in social. And everybody has kind of competitive dashboards and that kind of thing. When you look at your success versus other teams' success, what metrics do you pay attention to? Is it engagement rate? Is it something else? Like if you say, "Hey, we're killing it in compared to, I don't know, the Falcons" or whatever. Jay Baer: No slight to the Falcons. I just threw out a team. Eric S.: No, that's great. Jay Baer: How do you actually ... What's the scoreboard that you use? Jay Baer: Did I [crosstalk 00:26:05]. Eric S.: ... Volume Index is a big one for us. And then, secondarily, we look at over-indexing. And we think that's important because not everybody has the same access. You know, not everybody, you know, can share the same content. Like NBA has different rules from us. So on a post-to-post basis, what are we doing that's higher than our average, or over-indexing. And then also what are we doing that over-indexes, you know, compared to other leagues and teams? And then you find that content and then you start to see and plan more. Why did this work? And then you start to do all of the analysis of it. But for us, Volume Index is important 'cause we're trying to reach as many people as we can. And then, secondarily, what are we doing that's over-indexing? And then finding out why and trying to replicate that going forward. Adam Brown: So social listening is really important to your team. Not only do you have to listen from a measurement standpoint what the other brands and franchises are doing, what the other players are doing. But certainly the timeliness of your posts, especially when these clever situations [inaudible 00:26:58] like you're sharing. You've really gotta listen. I'm curious kind of how you have that all set up. Not necessarily the technology, but the protocols to listen to all the players, to listen to all these channels and things, and then being able to use that information and being able to respond quickly. And I also know that a lot of the players in NFL now has restrictions on when and players can and can't post in social media during game day. Do you have any role and responsibility in kind of doing any monitoring there? Or is that more truly in the front office? Eric S.: I think when you use the term monitoring, for us we're just monitoring what they post so we can be aware. 'Cause a lot of times the players will share, you know, their training regiment or, if they're vacationing, where they are? So we can repurpose that content maybe for people that don't follow him? So I think from a monitoring perspective, we're more looking on the content side. What you're mentioning specific about how, you know, what they can and can't do, that's more lies in the front office. Eric S.: ... has to do with what's happening on the field. So I don't know if you know we can't necessarily respond to every single person. It's funny, when one of our quarterbacks throws an interception or something goes bad, the feed just lights up. And I think people believe that, you know, Coach O'Brien or Brian Gaine are reading that Twitter feed. And I hate to break it to them, they're just sending it to me. And it's not like I can do a ton about it. So, you know, we try to monitor all that stuff. But if there is a question, my whole goal when it comes to social listening and responding is, "Can we add something of value to the conversation?" And if we can, then we're gonna 100% respond. And we need to do better about this just in general. 'Cause I think one of the problems a lot of brands face, and you talked about it, is kind of that one-way street? We're sending information down and maybe not responding enough. If there's one thing we can learn from airlines and from, you know, people who do heavily in customer support on social, is that people expect that one-to-one connection now. Like if I have a problem with my airline, I can immediately ... And I know you guys talk about Delta a lot. You can immediately, you know, Tweet them, talk about this, you know, "I need an issue with that," and people expect a response. So I think that's one thing we're trying to constantly monitor. But the sheer volume of it, during our busiest times, can make it difficult. So you're trying to find, and as you scroll through, you know, what can we contribute to the conversation? 'Cause there's not much I can tell a person if they just disagree with how our team is playing or a call that our coach made. You just gotta kind of let them vent at that point. But for us, is where can we find [inaudible 00:29:10] if somebody has a question about ticketing, you know, a game day experience. We have all these different parts, app, social media, where you can talk to us that way. And that's kind of how we view social listening. If that makes sense. Jay Baer: Mm-hmm (affirmative). And, to that point, are you, when you do find questions or queries that are ... you know, kind of your responsibility or appropriate for you in the digital media department, are you sharing those with the customer service folks, with the ticket-holder folks, with the people at the stadium? Is there a protocol kind of for doing that? Eric S.: Yeah, on game day specifically we have a part of our app where you can send a message, what we call, to our text line. And so that message goes directly to the help desk, so that they can then sort and send. So if it's a ticketing issue or, "Hey, my WiFi's not working in Section 122," you know, we can send a Wifi coach over there to figure that part out. So I think on game day that's taken care of outside of us. But from a social perspective, the one thing about me is I'm pretty lucky that I know most of the processes in the buildings, so I'll try to react pretty quickly. One process we have in place with the three digital folks, myself included, that we talked about earlier, is that we wanna go through and spend at least 30 minutes a day looking at every single comment for the post that we make. So just in case there is a question that we can't answer, and then we kind of filter it up. Usually it goes thru me, and if I can't answer it directly, then I'll send it to the ticketing staff, marketing staff, whoever has the knowledge needed, you know, to respond. So that's kind of our process there. But game day's almost a separate animal, because you've got 70,000 people in your stadium and, you know, questions may be coming fast and furious. So we set up an entire helpline that's specific to them that allows, you know, all of our staff to figure out, "Hey, what are these issues and how can we help them and make their experience with us that much better?" Jay Baer: ... has the technology that the Golden State Warriors and a couple of [crosstalk 00:30:51] other sports teams use, to kind of geofence the facilities so they can see, not just those posts that are mentioning the team or the facility or the concessions, but everything coming in and out. Are you using, for the Texans, any type of technology kind of like that, geofencing the facility? Eric S.: We use a lot of geofencing, but it's probably specific for content moreso than customer support. So if we wanna send, you know, whether it's a special deal, "Thanks for being here today." You know, we may geofence the stadium and send a push notification that way, so that people can understand, "Hey, these are the events that are happening. You're in this section of the stadium." Something like that. And we geofence a lot. Jay Baer: Does that go through the app then? Eric S.: ... through our app. So we geo-target through the app and then we push through so that people ... And it gives us another, you know, good reason for people to wanna download the app, which is very important. Those are our, you know, most passionate fans. We actually do a lot on the road. So we have this Travel and Texans group, which is a group of our wonderful fans that goes to every away game, or there's a group of them that try to. And so we'll do stuff, 'cause they take a picture every Saturday at a landmark in the city they're visiting. Adam Brown: Oh, that's great. Eric S.: You know, so they do that. And then we are able to geofence that area to, you know, tell them, "Thank you for coming." You know, maybe give some kind of, you know, special giveaway for the city that they're in, or remind them, we'll send marketing folks, "Hey, make sure you get your Houston Texans, you know, sweater," or whatever we're giving out that day. So to me, that's the fun way of kind of doing that. We also do that with a radio show here, locally, that we shoot when we do our coach's show. So I think those are the ways that we're doing it. From a customer support, we haven't quite got there yet, because we found in the stadium, it just makes a little more sense. We've got so much collateral built up on that text line, and we've been doing it for years. And we're very fortunate. We've sold out every ticket in the history of the Houston Texans. So I don't have to sell a ton of tickets and we got a waiting list of almost 25,000 people. Again, very, very fortunate. Our fans are fantastic. So I think that you've built up a customer base that comes to a lot of games. So you've got all that collateral built up to the text line. So for game day, we've just found that that's the best way. But you're right. To your point, a couple of years, as we come ... You know, plus our fan base is a little bit older. As we become more technically proficient and people understand that there's ways that you can just easily do this on your phone, I could totally see that happening. Adam Brown: What an incredible story. I didn't know that you had sold every ticket in the history of the franchise. That's pretty impressive [crosstalk 00:32:54]. Eric S.: ... those people want to engage with us. We're able to provide them other experiences. They come out to the training camp. You know, we wanna make sure that we express how appreciative we are that they, you know, wanna be in a part of our organization. So I think that's a big thing for us, the service and support side. And we don't take that lightly. You know, we haven't been to a Superbowl. You know, we haven't had a ton of success in a lot of years. So to still have that mark. For us, you know, we really pride ourselves on the experience of coming to NRG and how important that is, and how great it can be for our fans. So I think that's a testament, 'cause it's really easy to sell tickets, as you guys know this. You know, the Golden State Warriors are fantastic, but in the past two years, they've had a historic team so it's become a hot ticket. And a lot of that takes care of itself. So I think we really pride ourselves on the experience of coming to the game and being a part of the organization. And that kind of shows in that sell-out streak. Adam Brown: Eric, one last question before I hand it over to Jay to ask you the two big questions. Eric S.: Oh, I'm ready for those! Adam Brown: Are you excited for those? All right. Eric S.: I've been practicing. Adam Brown: Oh, we're excited to hear your answers. I am curious. You mentioned earlier that Instagram is kind of the visual platform for you, and that Twitter is the platform, at least during kind of game day. Adam Brown: I'm curious to kind of how you're working and determining what platform works best for what. And are you seeing any shifts or adjustments, you know, the era, as we hit the middle of 2018? Eric S.: Yeah. I think the data tells you that, right? Like we're really big on, at least for me, measuring. I always tell the students I talk to, "Hey, you can have a great idea, but you've gotta show me the execution and show me how it worked." So we're always trying to go back. So the data tells us that Twitter, I mean, you can see the spikes in engagement and over-indexing on game day, because that's the second screen experience for most of our fans. And I think what you constantly see ... This is really funny. And you guys, I think it was a couple of shows ago, you had somebody say a fantastic quote about social, and I've used it about 15 times already since I heard it air, that you're trying to fly the plane while building it at the same time? Eric S.: And that's so perfect. Because you're right. Right as you get comfortable with a strategy, you know, Facebook will change its feed, and then all that data you had from the past three years, you can throw it in the trash because it's not applicable any more. So one thing I always tell folks is if you're working in social, you gotta be comfortable being uncomfortable. Because the moment you feel like you've got a grasp of something, it's gonna change on you. So we're constantly measuring those metrics. I mean, on a daily basis, my email box has ... You know, I get 15 emails every day. What's over-indexing on every platform, you know, what over-index is the entire NFL, what is the NBA doing, what are our numbers compared to what they were previous Mondays? And these are all these kind of stuff that you can pick up and then make adjustments on the fly. So I think that's how we're making our decisions is that we see that that over time and we understand. 'Cause, you know, Instagram is fantastic. Like to use a baseball analogy ... Sorry, I'm a baseball player ... Instagram is like a standup double every time. You know, like very rarely do you see something over-indexed by 10 or 15 times. On Instagram it just doesn't work that way. But you're gonna get, you know, your core audience almost every time you post, which is really valuable in the social space. Whereas Twitter could be a strike-out or a grand slam. Like something that over-indexed 200, 300 times or it could just go flat, depending on what time it is. So I think you measure all that stuff and those tools help you come to a decision as to, you know, where your content works best, and especially the timing of it too. Jay Baer: Yeah, to understand what you say, with all the changes that, going back and saying, "All right. Here's how successful we were on Monday." A year ago or six months ago, it starts to actually be less valid, right? Because the rules were different, right? It's like okay, well the algorithm was structured differently then. And so, you know, we look at a lot of year-over-year stuff at Convince & Convert on social. Even things like the podcasts. Well, a year ago is a long time, right? Jay Baer: And it was different rules and a different competitive scenario, and so, you know, we have that data, but I'm not sure it's massively illuminating at this point. Eric S.: No, you're right. And you're constantly wrestling with that, right? Because you remember executing the actual campaign and how successful it was. So there's still parts that you can take out of that and use, you know, to continue moving forward. But you've gotta understand the distribution channel has changed, and you've got to account for that in your planning. Eric S.: So again, like I tell people all the time, you've gotta be comfortable feeling behind, because you're never gonna quite have everything wrapped around your arms. It's not, "Hey, here's my to do list today. And by 5:00 I'm gonna have all this done." Something's always gonna change. Something's always gonna happen. So I think for people that are first starting, we talk to our partners about this all the time. They wanna work with us in the social space. You know, it's okay to say two things: First off, it's okay to say, "I wanna be on social," and you don't know anything else. No problem. Take the step in, because the second part is, the only way you're gonna learn is by doing it. You know, I think the, you know, the fear of trying to dive in, and, "I'm not quite sure." It's okay. We're all learning in this space. Adam Brown: Yeah. Nobody [crosstalk 00:37:40] has all the answers. Eric S.: Yeah, nobody has all the answers. We just try to [crosstalk 00:37:43]. Jay Baer: I always say anybody who thinks they have all the answers definitely does not! Eric S.: They're trying to sell you something. Jay Baer: That's how you can tell, yeah. Eric S.: Yeah, they're trying to sell you something. Jay Baer: That's how you can tell. That is for sure. Eric, thanks so much for being here. An unbelievable job at the Houston Texans. When you play the Colts on the road this year, we'll look at the schedule. I'll drive up. The steak's on me. Eric S.: Yeah. That sounds good. Let's do it! Jay Baer: I'm gonna ask you the two questions that we ask everybody on the show. You know the questions. You're a listener to the show. And thank you for your support. And the many, many, many tens of thousands out there of you who listen to Social Pros each week, thank you as well. First question: What one tip would you give somebody who's looking to become a social pro, other than get ready for a life of extraordinarily long hours and manifesting. Eric S.: I think you've gotta network. You've gotta make yourself a person and not a piece of paper on a resume. Sports is a really small world, so the more people that you can meet, the more likely you're gonna get an opportunity. When we have a job opening, we'll have 1200 people apply. And so, the likelihood ... It used to be when I was younger, and I always thought this, "Oh, if I do great work, people will find me and it'll work out." But it's not always the case. You know, some people, they go off recommendations or they go off, you know, somebody they've met before. That personal connection's very important. So any way that you can make yourself a human being that they've met, instead of, you know, a resume or a piece of paper that's been handed to them, will only benefit. Jay Baer: Oh, that's good stalker advice. I appreciate that, Eric. That's what you need to be doing. Just hang outside somebody's office until they hire you! I think it'll work. Get on the podcast! Last question for Eric Saninocencio, who is the Senior Director of Digital for the Houston Texans in the NFL. Upcoming NFL draft here in just a couple of weeks. [inaudible 00:39:23] to record this. Eric, if you could do a Skype video call with any living person, who would it be and why? Eric S.: I thought pretty hard about this. And it was harder than I thought to get down to one. But I think I settled in on Malcolm Gladwell? Adam Brown: Yeah. Good one. Eric S.: ... I love his books. I love his podcasts. And no person has made me change the way I think professionally more than him. So I read the intro of his book, David & Goliath, and it talks about like what we perceived as power and who's actually the favorite. And the way he broke it down, you know, everybody says, "Oh, David beat Goliath," but really, David should have been the favorite, considering all the factors in. And when I read that, just something clicked. And I think, for me, I love the way he tells stories, and I love the way he always challenges your mind to think differently. Jay Baer: Yeah. He's an outstanding, outstanding thinker, author. I've had the good fortune to do a couple of events with him in the past too. And really great speaker as well. Very calm, very measured, but just kind of lays it out there and you're like, "Wow. That was amazing." So, good pick. I think that might be ... It's hard for me to remember, 'cause we're 300 and whatever episodes now. But I think that might be the first Gladwell selection. We'll have to go back and check the magic of database, but you may be the first one, Eric. And a good choice. Adam Brown: Yeah. At least since I've been around. And, yeah. I couldn't agree more. I completely endorse that choice. Eric S.: I was just gonna ask you, and forgive me if you guys have said this before, just out of my curiosity, who ... Have you guys ever answered that question? Who would it be? Jay Baer: We did answer it. When Adam and I were the guests, but I actually don't remember what we said. Adam Brown: I think I said Sir Richard Branson. Jay Baer: We could have been [inaudible 00:40:53]. You said Branson? Adam Brown: I said Branson, but I could pick Gladwell right now, Eric. I think you may have shifted my choice. Eric S.: It's such a great question. I asked like 10 people in our office as I was talking about the podcast. And you get all these random answers. It tells you so much about who they are, what they find important. You know, there was a lot of political people that were suggested to me, or sports figures. It just tells you kind of like, hey, where their heart is and what they find interesting. It's a great question to ask. Jay Baer: Thanks for crowdsourcing it. I appreciate that. My buddy, Johnny Schroeder, here in Bloomington, where I live, asks people a question similar. He always asks them, "You know, if you could have a house in three different places, where would they be, and why?" And that's an interesting question too. Like, you know, why would you want to live in different parts of the world, under what circumstances. And that's always a good conversation starter also. All right. I hope you guys do well this year. I live in Indiana, but I am, at best, a tepid Colts fan. I am still a Cardinals fan. I'm from Arizona. Lived there my whole life. I was a Cardinals season ticket-holder for many, many, many, many years. So it is probably statistically unlikely, but I'm hoping the Texans, Cardinals, this Superbowl, you never know. Eric S.: Yeah, you never know. Jay Baer: Stranger things have happened. Deshaun gets healthy, Sam Bradford remains healthy, which seems really unlikely. But we'll see! That's great. And I can tell you, that's the cool thing about the NFL is that, unlike the NBA, right? So like we just finished the NBA regular season as we're recording this. And there's a couple of surprises. The Pacers and a couple of other teams, but generally speaking, the teams that you thought were gonna be good were good. Eric S.: The usual suspects. Jay Baer: And we could add [inaudible 00:42:25], right? And baseball has a little more unpredictability. Hockey a little too. But the great thing about the NFL is that the teams that succeed really turn over and you don't, other than the Patriots probably, you don't really know who's gonna be there at the end of the year and that kind of keeps people sucked in. Eric S.: It's the beauty of it. I mean, the Eagles won last year with a backup quarterback. Everybody thought when Carson Wentz got hurt their season was over and, you know, Nick Foles rising to victory. Jay Baer: Nick Foles, you [inaudible 00:42:48], baby. Jay Baer: [inaudible 00:42:49] down. 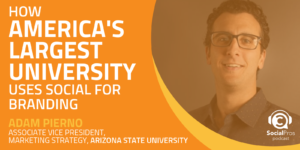 Jay Baer: You'll be a wildcat just like me. Eric S.: But Jay, if there's anything we can do to convert you over to the Texans, you let me know, okay? Eric S.: I do. That's right. Jay Baer: Send me some swag. We'll figure it out, baby. Eric S.: I'll send you ... There might be a Watson jersey in the mail coming for you soon. Jay Baer: Oh! They're not for you. There you go. And ladies and gentlemen, that was this episode of Social Pros with Eric Saninocencio from the Houston Texans. Unbelievable show. We've got another great one coming up next week. We've got a bunch of great shows lined up, Adam. Adam Brown: We do. We do. Jay Baer: As we sort of careen through the spring, we're back on our game. And, as I mentioned earlier in this episode, we just wanna thank everybody for their support of the show. I've been traveling a lot lately and meeting a lot of listeners. And man, it's just, it's so great when people would come up and say they listen to the show every week. It makes it all worthwhile. Adam Brown: You know what I think about too, now that we are in spring break. I'm thinking, Jay, how many people are listening to this podcast, drinking an adult beverage on a beach somewhere? It just warms my heart. Jay Baer: Yes! Well, and a couple of weeks ago, spring break listening, right? Everybody's taking Social Pros with them to wherever they're going. So that is fantastic.